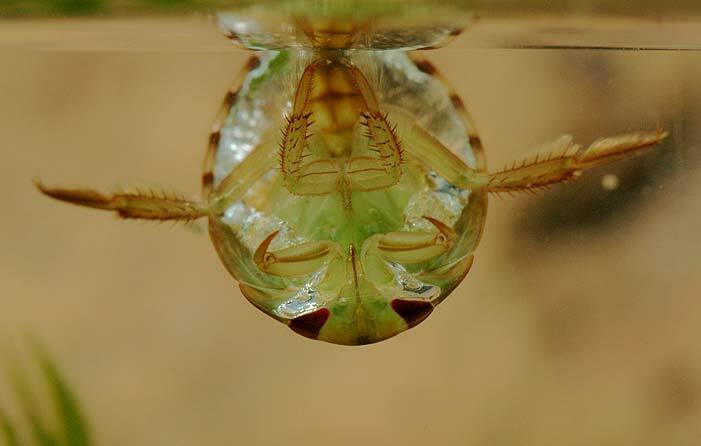 As if to demonstrate the origin of its English name, the nymph of the Saucer bug is hanging below the water surface like a transparent saucer. The silvery shimmering is caused by air bubbles. Below a cut-out of the picture above. Notice the grooves in the front legs, in which the claws can be pressed. 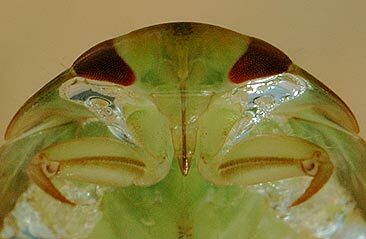 The head is so much transparent that you may see the ducts of the saliva glands. The saliva contains toxic, protein dissolving enzymes.